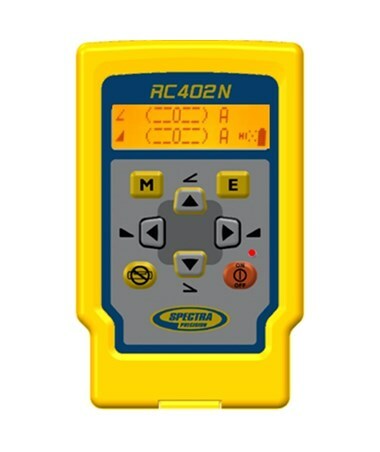 Usable with other Spectra laser levels, the Spectra RC402N Remote Control allows the surveyor to make grade changes and start automatic alignments remotely which is time-saving and cost-efficient. It features a menu-driven user interface that simplifies grade entry and access to advanced features which reduces learning time and eliminates complex button sequences. 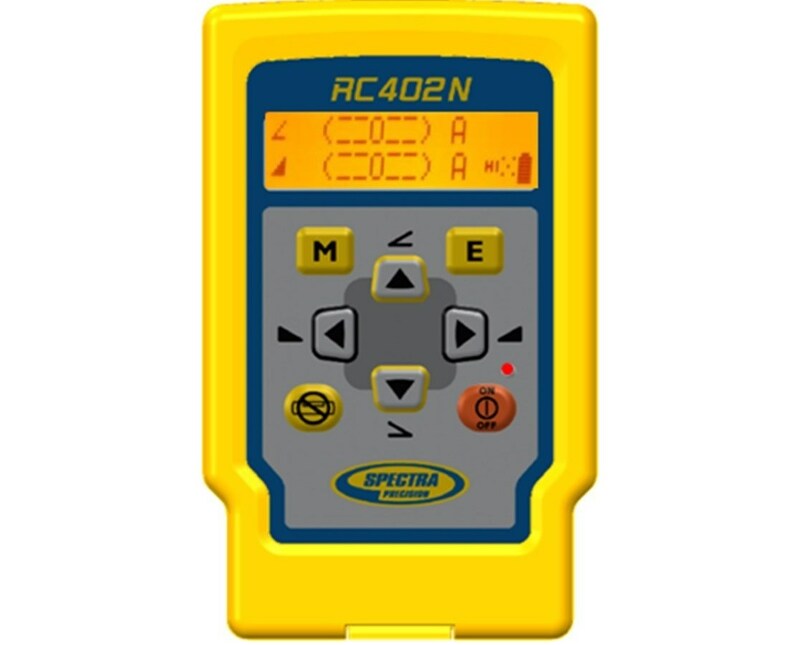 The RC402N is compatible with several Spectra lasers including LL300S, HV302, GL412N, and GL422N. 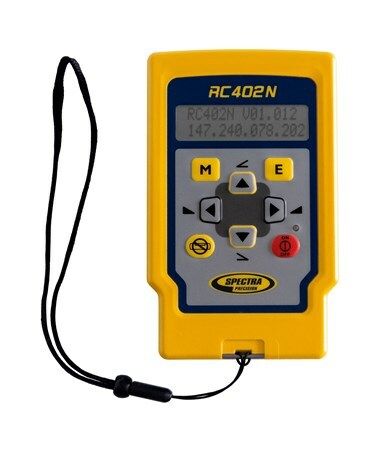 Having an operating range of up to 330 feet, it allows contractors to perform precise leveling and makes slope matching a single-person operation. Also, it features a keypad and illuminated backlit LCD display with on-screen indicators. 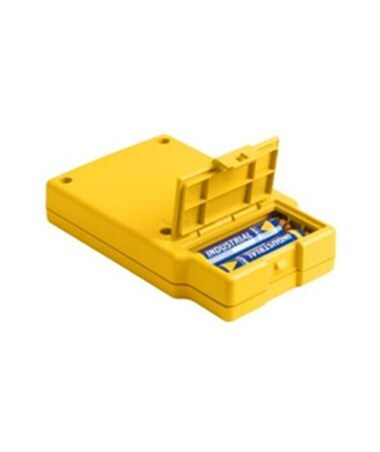 It uses two 1.5 volts AA alkaline batteries which can operate up to 130 hours of battery life. Plus, it is protected from dust and water with its IP66 rating.